Offers lightweight comfort and long wear. 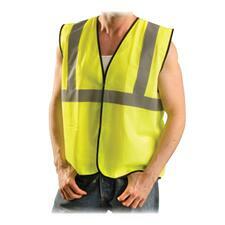 Reinforced bib and hemmed edges offer superior protection and comfort. 19 mil thickness. 12 1/2 oz. Four metal grommets. Black. 35" W x 45" L.
Safety Zone Black Medium Wt. Hycar Apron - 36" x 45"
Has 4 grommets and polyester string ties. Reinforced with 65/35 cotton/polyester blend backing. Safety Zone Polyethylene Disposable Apron - 28" x 46"
Protecting food and product from contamination of any kind by a worker is critical. USDA accepted materials. White Embossed. 1.25 mil thickness. This white 40 gram spunbond polypropylene lab coat has elastic wrists, a collar and 4 snaps. Industrial use coverall is designed for lead and asbestos abatement, spray painting, and general maintenance and cleanup. Durable Tyvek material allows greater range of movement and a more tailored fit. Effective barrier for particles down to 1 micron in size. Coveralls have better liquid and particulate barrier than TYVEK. Zipper front close makes them easy to put on and take off. Made of breathable, microporous film laminate which is low lint.